Save the date and enter for the lowest price of the year! January 1, 1960: San Quentin was the location of the first free show of many by Johnny Cash at California prisons. He finds 22-year old inmate Merle Haggard sitting in first row! January 11, 1964: Ring of Fire was the #1 album on Billboard's first Hot Country Albums chart, staying there for 14 weeks. It became Johnny's first Recording Industry Assoc. of America gold album. January 13, 1968: Johnny gave his iconic performance at Folsom Prison! January 15, 1992: Johnny was inducted into the Rock 'n Roll Hall of Fame at the 7th Annual ceremonies in New York City. Click here for a comprehensive list of Johnny's Milestones. 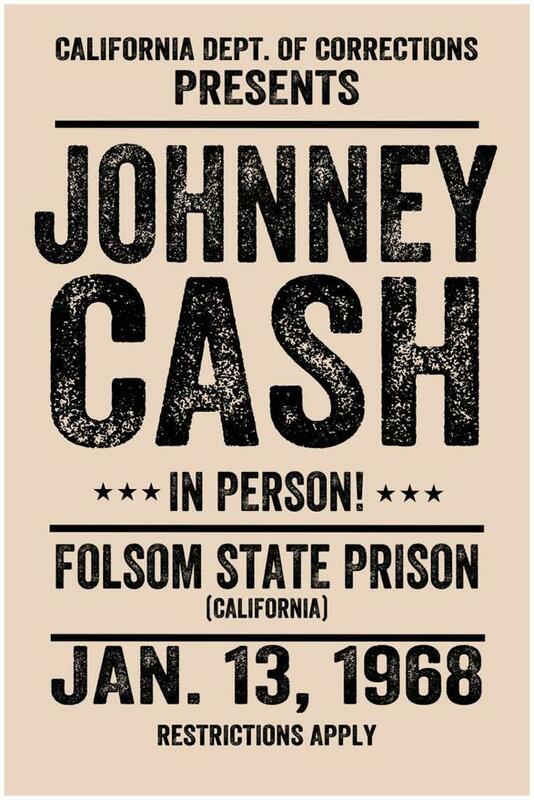 Click the poster below to learn more about Johnny's Folsom Prison performance.